Vacation rental condominium. Sleeps 4, 1 bedroom, 1.5 bathrooms. Dogs allowed. Enjoy any season at the beach in this cozy ground floor pet friendly vacation condo. The large picture window provides unobstructed views to the stunning Pacific Ocean beyond. Throw a beach towel on the grass right outside to soak up the sun. 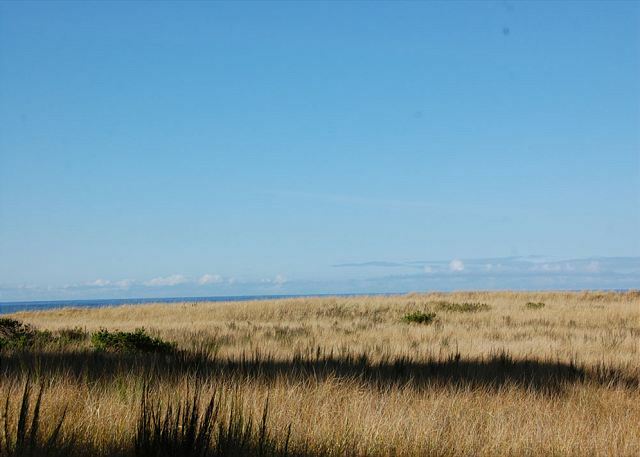 Beach access is just a few steps away by trails leading you through the tall dune grass to the beach beyond. I needed a break from the realities of my life so took a mini vacation with my dog to a Westport Vacations by the Sea condo. Five days of watching my dog romp on the beach and play with the ocean waves and the brilliant sunsets from my condo's ocean front view took all negativity away. I left feeling rested, renewed and refreshed (and with new insight to tackle those 'realities'!). ALWAYS ALWAYS gave a FABULOUS time at VBTS!!!!!! Second year in a row. Our son and his wife before us. Awesome time always. Been going to Grayland area for years, camping, clamming, but now that we are older, the condo life is for us. see you next off season! Everything we needed and more. Played games,slept comfortably and enjoyed the views. Ground floor was perfect for dog. We appreciate your kind words and are happy to hear you and your companion enjoyed the easy access of this ground floor condo. Had a great time. Accommodations were excellent and had everything we needed. The space was great! Totally functional and close to the store. The patio was so cute and cozy. Close to the beach and walk ways along with a fun pool and hot tub in the summer. We will be coming back! Great stay very nice condo home away from home right next to the ocean. Makes it nice & convenient for a last min reserve! Another great trip to Westport! Our second stay in the same condo. Very nice and comfy. All the amenities of home. Bring your food and toothbrush and relax. Thanks for staying with us again Reed and glad to hear the 2nd time was just as good as the 1st! See you again soon. Really enjoyed the unit we stayed in for our wedding anniversary. We’ve stayed at Vacations by the sea numerous times and they continue to be top notch. From the grounds to the rental unit, everything was as expected. Nice and clean. It was lovely, comfy and cozy. It was fantastic, great view of the water from the living room. Easy access to the beach with just a short trail walk. Had a very nice time! We had a great time for the short time there. Next time we'll stay longer. The unit was clean and luxurious for our standards. We did have religious solicitors, which was disappointing. but, good time anyway. Wonderful to hear you had a great stay for the night, looking forward to you being with us longer next time. A lovely, relaxing weekend at the beach with our two little dogs, we ate in and played on the beach. The Resort is perfect! What a great experience, we had everything we needed for a quick overnight stay in Westport. Looking forward to coming back for a longer stay. Great pet friendly condo, clean, no pet odors. We had a great time and will rent this condo in the future with my pups Tucker and Winston. Tracie M from sumner, wa does not recommend this vacation rental. The room was very nice The View was nice I found it very disheartening being a smoker that I was not allowed to smoke on the patio being what I paid for I believe I should be able to smoke outside if I choose. I'm sorry our no smoking policy is a problem for you, we do make it very clear on our website and our terms and conditions. For the comfort and enjoyment of all our guests, smoking is not allowed in any of our condo including the deck/patio areas. Thank you for obeying our policy. We needed to get away from our house because of a remodel for four days. At the last minute I found 213 Vacations by the Sea. It was a great find! The condo was comfortable and clean. It was in a great location also. We would not hesitate to come back again. Quick two night stay for halibut fishing and storm watching. We had a great time. The condo was more than we expected. It was very clean and cozy with a beautiful view of the ocean. We enjoyed eating dinner in the dining room with the view of the ocean to enjoy. This was our German shepherd's first trip to the ocean, and she had the best time ever. Thanks for letting us enjoy time at the ocean with our dog. We will be back. The condo was just as described and better than the pictures. Wife and I loved staying and sitting on the porch to watch the sunset. Condo is pet friendly so we could bring our dog which was a plus. We will definitely be visiting Vacations by the Sea again. From the moment we made our reservation until the day we checked out, Trish made the entire process so easy. The condo was wonderful; fully stocked with everything we needed and decorated beautifully. You can tell the owners truly care about their home and want to make visitors feel elcomed. Our dog snuggled in the dog bed that was there (thank you!) and we couldn't believe what a short walk it was to the beach. We will definitely come back and recommend the unit to everyone we know. We had a perfect time. Loved the unit. We were so happy we could bring our dogs. The kitchen was well stocked. We loved our view. We would book again. Excellent, can't wait to come back again! The suite was perfect and the location great. This is a wonderful place to vacation. I enjoy the amenities -- hot tub, pool, gym, kids playground that are included in the condo rental. The condo was great. Fully stocked and comfortable. Beach access right out front and awesome amenities that we enjoyed - the pool, hot tub, and gas grill at the Clubhouse. for just a few $ more decided to rent a condo rather than a hotel room. I loved this so much that this will now be my go to for a couple of days at the beach. Easy access to a very large beach, full kitchen,and very clean. Love, love! Our family came for a quick relaxing get away and that is exactly what we got! Great place to stay with your dog. The only complaint was the hide a bed was not comfortable. Everything was great, the TV was very small however. Thanks for the feedback! We're glad you had a good time!! Some owners prefer to keep electronics at a minimum, but there are other condos that have larger TV setups. Vacation rental was very nice. Check in time at 4:00pmis very inconvenient and guest upstairs were very loud, we could here their dogs runaround upstairs the entire time. Thanks for staying. Our check-in time of 4pm is guaranteed but we do our best to have the condo ready earlier. It isn't always possible on busy weekends or if it was previously occupied, but give us a call the morning of your arrival and we can let you know when it will be ready. The unit was everything we hoped it would be. We chose a ground floor unit so our aging dog would not have to go up and down flights of stairs every day to go outside. Great view of the ocean. The kitchen was stocked with every type of kitchen equipment you would need to cook and entertain. Very clean. It was nice staying at a pet friendly place that did not smell like a pet had been there previously! We had a great time in 213, the place was very clean, everything was provided and it was a good time. I would highly advise that the sofa bed be replaced, if they didnt have that spare air bed we would have left early because after 1 night of sleeping my son could hardly move his back and he is a teen, I cant imagine an adult sleeping on it. Other than that the place is a great unit to stay in. Pet friendly condo by the ocean, what more could you ask for? Beautiful condo with a great view and a path to the ocean from the back patio. It was a wonderful place to spend Thanksgiving, and highly recommended! Perfect place to overnight with clients. They always leave very impressed and well rested. Very nice place. I would come back again. The only thing negative was the bed was too firm for me, but it might be OK for others. Loved that it was clean and pretty. Thank you and see you again. Spacious, clean, great view, great location, well stocked. We can't wait to return ~ on our visit, power was lost to all of Westport for about 15 hours so we were not able to experience any of Westport besides the stormy view outside the window in the condo. Vacations by the Sea did a good job of notifying us of the situation. Our dog could care less about the weather and he had a blast during the times we did allow him outside. Great pet friendly unit with GREAT ocean access! Overall our stay was very pleasant. Just very minor complaints. The can opener did not work, the sofa bed was terrible, the patio door was too hard to operate,& no ventilation in bedroom. unit was clean and tastefully decorated. Couldn't find a switch for the garbage disposal even though there was one undr the sink. Had a wonderful time. The condo was great and we were pleased with all the amenities..
My nieces and I stayed here for Westport's Rusty Scupper Daze. It was wonderful to come "home" each night to our comfy condo. The girls loved the pathway to the beach to take their sunset pictures and the kitchen had everything I needed to cook. The condo is very clean and well-supplied (towels, pots and pans, silverware, etc.) It is evident that the owners and the management company really care about their guests. I will definitely return to this condo on my next Westport vacation. Our experience was a good one. There were plenty of kitchen supplies for us to use. The condo was well kept, and our dog loved that we were so close to the beach. Only complaint is that the oven fan wasn't working. Would have liked to have soap in the shower. we had no shower gel either when we arrived. Staff supplied us with shower gel on request. Location of the condos is great. Our unit was in the middle of a building on the ground floor, so not much view. Thanks for staying with us. Sorry the shower gel was overlooked, mistakes do happen from time to time but we do our best to fix them once notified. See you next time. WHEN WE NEED REJUVENATION WE GO TO THE BEACH! We come every few months to rejuvenate ourselves and reward ourselves with a little piece of the Pacific ocean. We stayed in Unit 213, which was our original condo about a year or 2 ago. Unit 213 is like a 2nd home for us. We have never had anything unpleasant occur while we are at the beach here with the sunrises and sunsets right outside our picture window. The unit is impeccably clean, AND WE WANT FOR NOTHING from linens to kitchen gadgets pots and pans plates cups spoon are all in the unit! It really doesn't matter whether it's sunshiny or raining we never lack for entertainment indoors and out side. 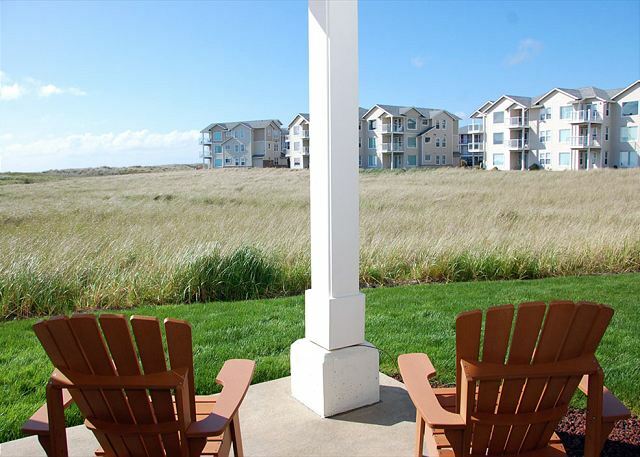 This is our second time renting a condo at Vacations by the Sea in Westport, Wa. Each time has been a soul saving experience. It is the perfect place to unwind & let go of all that troubles you. With everything you need; clean facilities, stocked kitchens, & walking distance to the ocean, it really is a fuss free break from daily living. Just pack a bag, toothbrush & toothpaste, (food if you want to cook) & you're there! Only wish this could be every weekend!!! We're happy to hear we continue to deliver a great vacation condo experience for you so you can focus on the important things while visiting. See you again soon. My family has been visiting Westport for 40 years. The last 8-10years we have stayed at Vacations by the Sea. Every unit we have stayed in has been well appointed and comfortable. This year we stayed in a dog friendly unit and everything was perfect. My dog loved running on the beach . For sure, we will be staying here again. We wanted to get away and relax for a few days. We had never rented a condo before and we're unsure what the experience would be like. I was apprehensive and hoped that we had picked a good place. We chose this unit because we had a dog and it was pet friendly. We wanted ground level so it would be easier to take our dog out. We also wanted to be close to the ocean. Check in was a little touchy as the key was missing...I thought "here we go!" But the housekeeper came immediately when we called and that was our only snag! The place was very roomy and it had everything we could possibly need. We extended our stay an extra day and that was easy too! We hated to leave. We would come back again nut did everything there is to do in Westport so probably won't return. We like to explore new places. We recommend this place highly. I don't think there was anywhere else as nice in the town. It is a large complex, but we felt very private. It was during the week, though, so not sure how busy the weekends get. Thanks for a relaxing and memorable stay! We love our stays at Vacations by the Sea. It is our 3rd time staying in the same unit:) Our dogs love it and we do too! Everything was excellent. The only minus was the guest bed, but there is a blow-up mattress to use instead. Everything was fantastic other than the bathtub being smaller than most of the condo's I have rented in the past at Westport. Our second time at Vacations by the Sea, we came up for Rusty Scupper's Pirate Daze with the kids. Unit 213 was perfect! 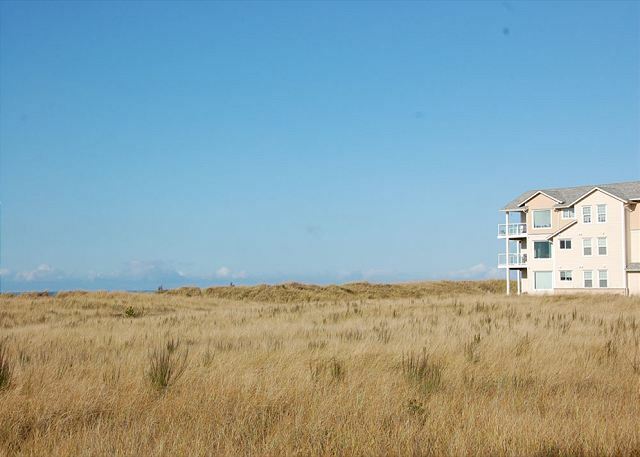 Right on the dunes with a view of the water and enough space for our kiddos to run around. It was clean, homey and had everything we needed. We will be back. Unfortunately we could only stay for one night but it was well worth the extra price of getting this condo. We were right off the beach and could just see it over the beautiful dunes. We had a cute little patio area where we could sit out and listen to the birds and the waves. The dogs LOVED it. We have stayed at places in the past and the dogs were not pleased. They could not relax because there wasn't enough room and the facility was too loud. This place was incredibly quiet and spacious. The dogs could just sit on the patio and relax with us. They slept through the night which was a huge relief, most likely because of how quiet the facility was. The place was clean, with a great kitchen. Two bathroom areas which was very nice and a very comfortable bed. I highly recommend staying here and hope to be able to stay longer next time! We definately enjoyed our stay, and will return another time. Great relaxing place to stay on the beach! Condo was very clean. Unit was very well-stocked, best we'd ever seen. 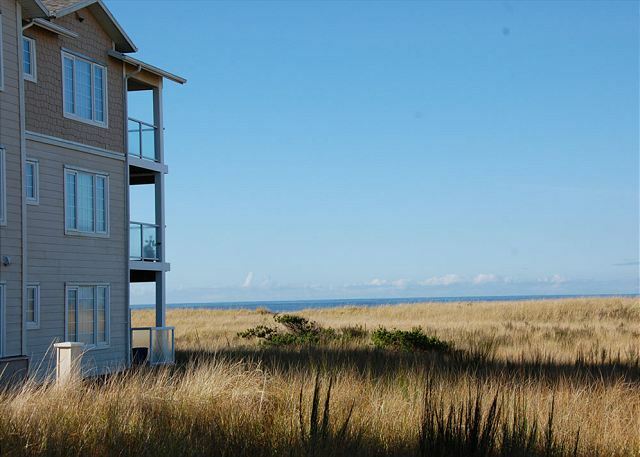 Westport by the sea has a lot of dog-friendly units, many with dune grass or ocean views. Can't wait to stay there again. The condo and surrounding area provided a great, relaxing weekend getaway! The stay was enjoyable, relaxing, and overall very pleasant. 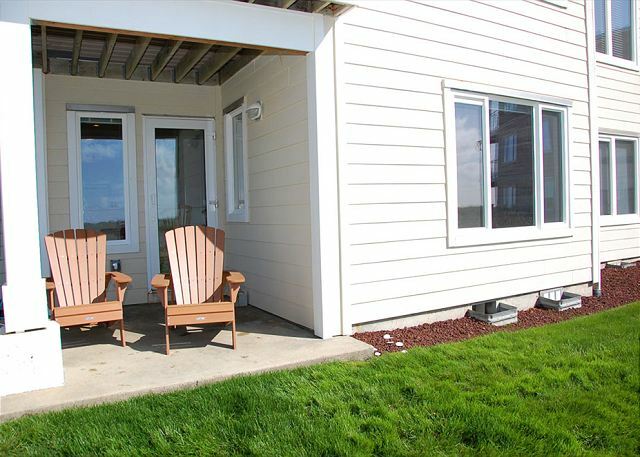 Unit 213 was very nicely apportioned with amenities, the ocean was directly viewable from the large living room window. The only disappointment at all was that the hot tub located at the club house was closed for some maintenance throughout our weekend stay. Glad to hear you enjoyed the condo and we wish the hot tub at the clubhouse had been open for your use. Maintenance items beyond our control happen from time to time but the management company responsible for keeping the pool and hot tub in good working order do their best to maintain them in the harsh ocean environment. See you next time! The only complaint concerns the bedroom window curtain. The complex is well lit at night and so is the bedroom. Put in a dark shade and this place will be PERFECT! We came (with our dog) to have a carefree time at the beach. We had beach walks, a lovely lunch and tasting at the winery and lots of down time. It was just right! A wonderful stay at the beach. We were very pleased with the size of the unit and how it was stocked. We were very comfortable and was enjoyed the unit very much. The sunsets were amazing from this ocean-facing unit. The only very minor thing missing was a bar of soap. We hope to return very soon and may even considering owning a unit in this complex. 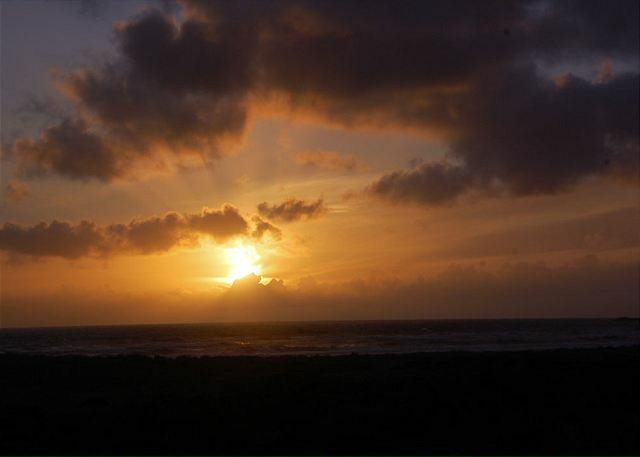 Thanks for staying and we're happy to hear you enjoyed the great sunsets from this condo. Spa quality bath products and lotion is supplied for all guests but includes bath gel instead of bar soap. Looking forward to seeing you in the future! The condo and its contents were more than I'd expected. It was very well equipped and very clean. We had a wonderful time and will definitely be back again -- many times, I hope. Thanks for staying and I'm very happy to hear you had a wonderful visit to the beach. Hope to see you again many times in the years to come. Looking forward to go back. Great location and super clean properties. The condo is very large which is great when traveling with children. The location to the beach is incredible. Looking forward to going back. We stayed in unit 213 for 5 days at the end of July. You can't beat the location if you have big dogs! 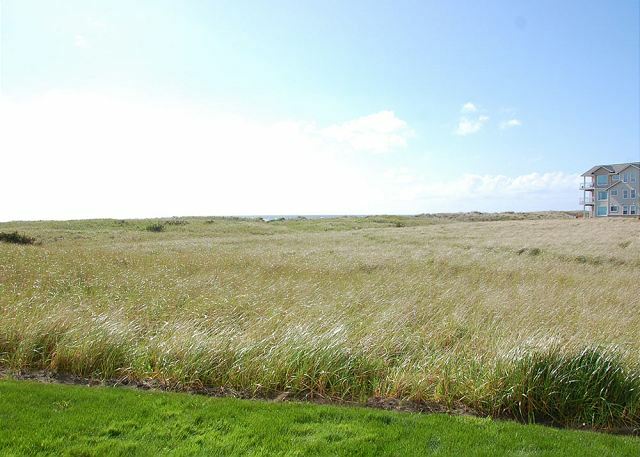 Easy in and out to take the dogs outside, great view of the dunes and occasionally the water if the weather clears. The unit itself was quite comfortable and fairly clean. Unfortunately we came during a week where the weather was quite uncomfortable. The locals said they always get two weeks of winter-like weather in the summer, and we came during that period of time. It was so miserable we ended up leaving a day early and forfeiting some of our payment. For having to stay indoors, the unit was fine. A couple notes if you're staying in this unit: the master bedroom has a large window right next to a very bright outdoor hallway light. If you need darkness to sleep, make sure to bring something to cover the window with, because it's still pretty bright even with the curtains drawn. Also, I tried to do a load of laundry while we were there, and the washer only had hot water running to it. I checked the hookups, but they were both on, so I'm not sure what the issue was. I ended up having to run the wash cycle twice because the rinse cycle runs only on cold water, so it never rinsed. One more thing to be aware of is that the dog walking areas are filled with burrs, so watch out for them to save your dogs a lot of pain. All in all, we were glad we had our winter gear in the car, so that we could at least beachcomb a bit. The issues we faced won't keep us from coming back...we'll just come at a different time of year in the future. Thanks for staying and I'm sorry to hear it wasn't as warm as you'd like during your stay. Sometimes when it is very hot inland it will be cool at the beach due to onshore flow which was actually a big draw last century for guests before air conditioning was invented. It doesn't always happen luckily and there are lots of warm sunny days throughout the summer here. I'm pleased you enjoyed the easy access this ground floor condo offered you and your pets. It is very easy to just pop out the back door and be on the beach in a couple of minutes. We've sorted out the problem with the washing machine and everything is working fine all all cycles. The property management company treats the dog walk areas for the burr weed several times a year but some areas are worse than other. We suggest taking your pets to the grass area behind the basketball courts which are burr free. I'm glad a little cool weather didn't keep you from enjoying your time at the beach and we'll see you next time! 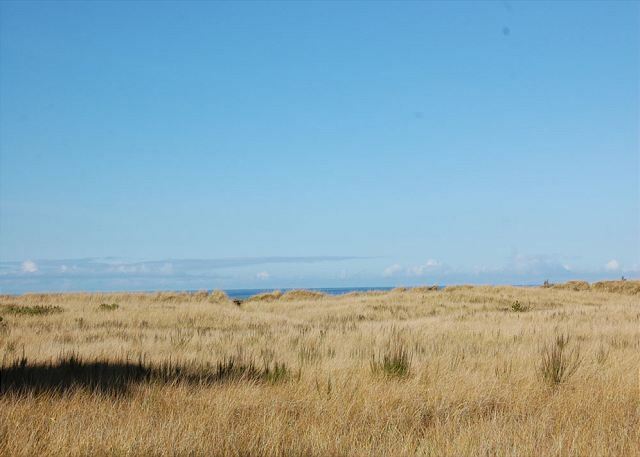 The unit has a lovely view of the dunes and ocean. The furniture is very comfortable, and the kitchen is well stocked if you want to do your own cooking. We have stayed here many times over the years, we absolutely love it here. Great place to just be, relax, take a walk or listen to the waves. Another plus is being able to bring your pet. The condos are well appointed, clean, the property is 5 Star, as well as the ladies in the office. I recommend that everyone young & old, fisherman or woman, kite flyer, beachcomber ETC COME STAY AT VACATIONS BY THE SEA AND BRING YOUR PET. a guest from Bellevue, WA does not recommend this vacation rental. There were 4 of us, 2 adults and 2 children, so needed to use the sleeper sofa. The mattress was awful. we pulled it onto the floor hoping the support would make it better but the coils in the mattress still could be felt. Fortunately there were extra quilts which we used for padding. Glad we only planned to stay one night. Glad you had a nice stay with us even if it was just for one night. Unfortunately sleeper sofa matresses are never as good as a real bed so we recommend for guests looking for maximum comfort to look for a 2 bedroom condo which may be more suitable for their needs. The sleeper sofa is generally only meant for chidlren in our one bedroom condos. Living in the Puget Sound, we're not far from the ocean but it's easy to not make it there often. Vacations by the Sea changed that for us, it's close enough to make a quick weekend trip well worth it. Our room was exactly as pictured, completely clean and fully stocked with everything you'd need in a kitchen or laundry closet. My girlfriend & i felt like we had a vacation & we only spent one night. The best part was that we could bring our dogs. My 13 yr old border collie doesn't do much these days but she couldn't get enough of the beach. She had a dog smile the whole trip. We will certainly be back. Not If I Return, but When! Brian C from Edmonds, WA does not recommend this vacation rental. We had a great time. The unit was very comfortable, clean and had everything we needed. Our dog was welcomed and if she could, I know she'd say it was her favorite vacation. Running free on the beach is one of her passions. Love it herre. In the Winter we have the beach all alone. Just US and the Dog. IT WAS SO WONDERFUL. WE WILL REVISIT AGAIN AND AGAIN. WE WERE WORRIED OUR PETS WOULD BARK, BUT THEY MUST HAVE SENSED OUR DELIGHT AND OUR DOGGIES WERE SO HAPPY THEY SLEPT FOR THE MOST-PART. THEY PERKED RIGHT UP WHEN WE LEFT OUR 'HOME' AND EMBARKED ON A QUICK TRIP TO CHECK OUT ALL THE AREA'S OFFERINGS. THERE'S EVEN A GROCERY STORE LESS THAN A HALF-MILE AWAY!!!!!!!!! THE CONDO HAS EVERYTHING INCLUDED , AND BELIEVE ME, I WAS STILL DISCOVERING GADGETS, SMALL APPLIANCES, INCLUDING A PET SPOT REMOVER! THE BATHTUB WAS AS DEEP AS I'VE SEEN INCLUDING THE GENEROUS OFFER OF LUXURIOUS ROBES TO WEAR WHILE STAYING AS GUESTS. THEY OFFER DEEP-PILED TOWELS! LUXURY FROM 'SOUP TO NUTS' OUR STAY WAS THE BEST EVER! WE CAN'T WAIT TO RETURN. Thanks for staying with us and we're very pleased every family member, including the 4 legged ones, enjoyed their time at the beach. See you next time. Even better than I expected, thank you for offering such a slice of heaven to us pet owners. It was a wondeful experience,the property is beautiful with a breath taking view of the ocean, we plan to come back again and again and stay in #213. Thank you Mr and Mrs Dave B.
what a beautiful location, there were many areas to walk and enjoy the outdoors. We had a lovely couple of days at this condo. It had everything we needed to make meals and enjoy some family time. The pool is perfect for kids and the property is very well maintained. Great location. We will be back! We were incredibly happy with our stay at Westport. Everything was clean and well-kept, and the kitchen was fully equipped- no need to go out and buy a corkscrew :) I can't wait to go back! Stayed sunday to saturday as we found place gets very busy on weekends. Got some much needed r&r. We will be back next year for sure, as the dog friendly status is fairly unique in this caliber of property. VBTS, keep doing what you are doing, it works for us. Our stay was the very best we have ever had in our lifetime! We will be pleased to do it all over again, except we plan a longer stay the next time. Our accommodation was a pleasant surprise at how mugh it had to offer. The location had a very peaceful, relaxing atmosphere. Can't wait to return. Stayed in 213 with my sister and my two boys (3 1/2 and 2). We loved that we could walk right out the door to the beach trail and watch the sunsets each evening. I slept in the bedroom with the boys and she slept on the fold-out (we placed the mattress directly on the floor to make it more supportive). The condo was clean, comfortable, invitinting and (most importantly) quiet. I did find that the rooms were still pretty bright at night, but I am sensitive that way. (I ended up hanging a blanket over the curtain in the bedroom to fix that.) Everything else was just perfect. Awesome place to stay with young children! What an awesome place for dogs! Ours loved the short walk to the beach and the good 2.5mile walk to town was perfect! Check out the Brewery and Bowling alley if you tire of the beach! 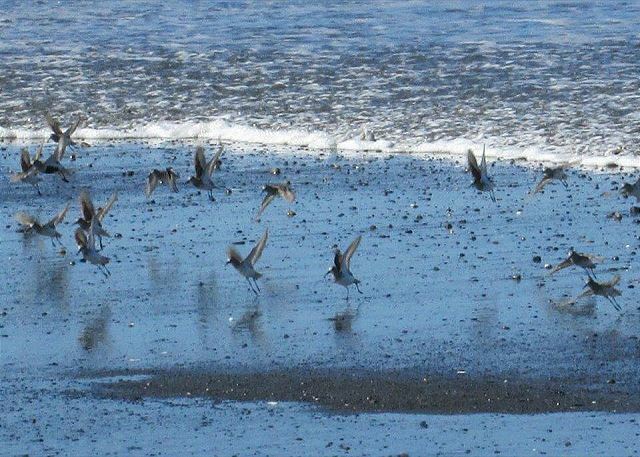 A Wonderful experience at the beach! A great experience--We had not been to Westport before, and fell in love with the location and the beach access. Loved the marina, the seafood . . . and this was a great place for our Westie!! She felt right at home. Thanks for trying out Westport and we're thrilled you had such a great stay. We had a beautiful Mother's Day weekend at the beach. The Condo was well appointed, however sparsely furnished. It would have been nice to have a larger bed for instance, I believe that it is only a double. But overall, the place was lovely, very pet friendly, and convenient to the beach. I would definitely stay here again. Thanks for staying with us and we're glad you had a wonderful Mother's Day at the beach. The weather certainly cooperated that weekend with lots of sunshine and unseasonably warm temperatures. We will pass on your suggestions to the condo owner but just to clarify the bed is queen sized. Hope to see you again soon. Very clean, relaxing, and I'll be back. Thanks for staying with Vacations by the Sea! We're so happy that you enjoyed your time with us and look forward to seeing you at the beach again soon! A beautiful place to have a short little romantic getaway. The view of the beach was amazing. There were several restaurants nearby all of them reasonably priced. I am definitely coming back. 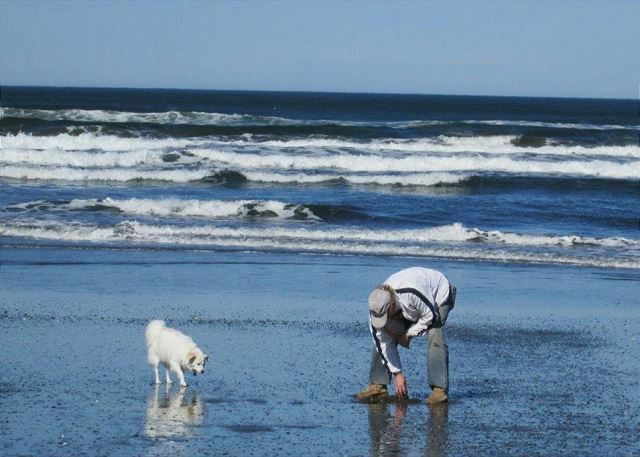 We're glad you and your four legged friend had a good time at the beach. Many of the condo owners in our program have dogs of their own so they we welcome dogs with well behaved owners. Hope to see you again if you make it back to Westport. Great condo! Very comfortable and spacious. And I love the recliner :). Perfect location and property. Loved it so much I'm looking into buying a condo. Thanks! Thanks for staying and I'm happy you enjoyed the condo! Our brother and sister-in-law stayed here which made us come back. Very clean, quiet and best of all very close(within walking distance) to the ocean. But what we loved is we could bring our dog with us. The unit we stayed in was georgeous. We definately will be back. We are so happy you enjoyed your stay with Vacations by the Sea and we're happy to accommodate your 4-legged family member! We look forward to seeing you again soon! Nice. Pet friendly. Good location. Enjoyed very much. We will be coming back for sure!! Great location and great place to stay. Trish was very helpful and made us very comfortable and welcome. Could not be more pleased. Hope stay again soon. So glad that you had a nice stay & were pleased with your vacation home. Thank yoiu for staying with Vacations by the Sea. We hope to see you again soon! condo living is hard on napping babies when your neighbor above have kids running around and your bedroom lamp makes a really loud noise,,, maybe some extra screws would help..